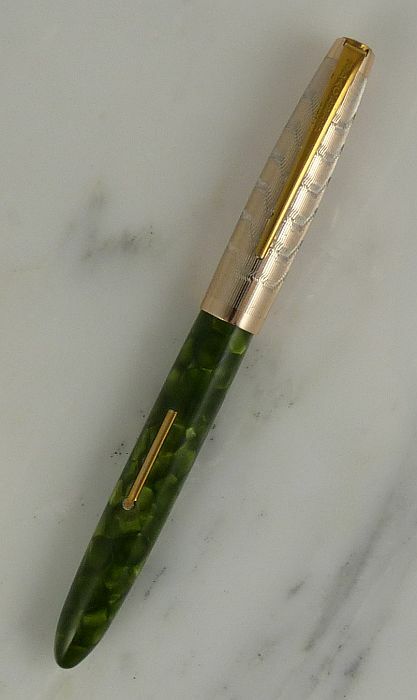 This is a very sharp-looking pen with an unusual combination of attributes. 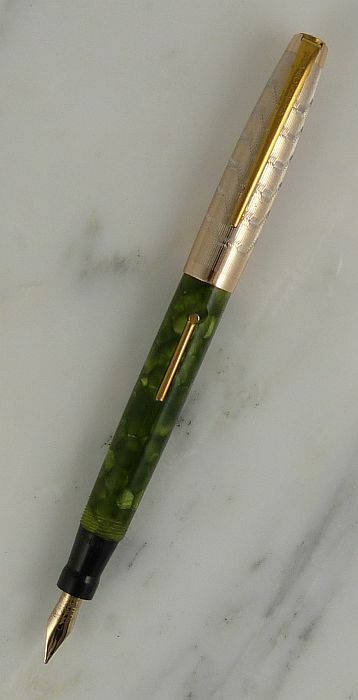 It has the general exterior form of a pen like the Parker “51” — a torpedo-shaped plastic (celluloid, in this case) barrel, with a patterned metal cap. 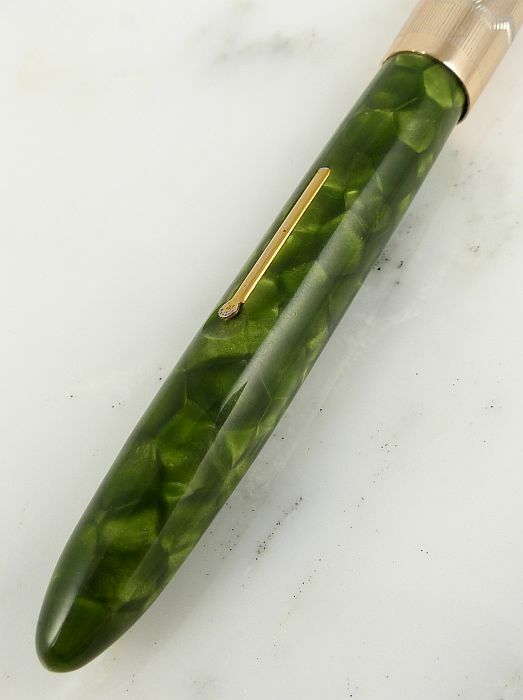 But the barrel is a beautiful, mineral-like marbled green, and the deeply-chased screw-on cap is finished in rose gold with a yellow gold-finished clip. 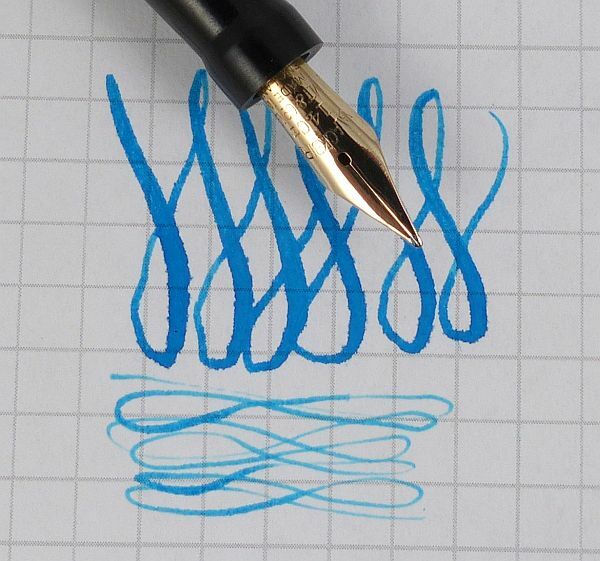 The pen has a conventional, delightfully-flexible nib which happily opens up to 1.0mm with 350g of pressure, and it will widen a bit more than that. A lever filler, sold unrestored. Previous PostFirst-Year Parker “51”Next PostBCHR Bankers Service Corp.